One of the problems with homeschooling in Canada can be finding good Canadian materials. Our main curriculum comes from the United States, so I’m always looking for books about Canada for the girls. I felt like I’d hit the jackpot when I saw DK’s Oh Canada titles. Here’s our favourite Canadian books for kids from DK Readers. DK Readers were designed with leading literacy experts. Each book indicates on the cover what level of reader it is, from Level 1 (beginning to read) to Level 4 (proficient readers). Each book has a glossary and index at the back. The books are full of pictures or illustrations and often maps too. I got this book for Lily, who loved dinosaurs, but both Lily and Sunshine read it cover-to-cover in the first day. Curious about it what they found so interesting, I picked it up myself and also found myself wanting to read to the end. Dinosaurs! Battle of the Bones is centered around the badlands of Alberta—Drumhellar and the Royral Tyrell Museum. I have fond memories of visiting those places as a child with my family, and of taking the girls there before we moved to BC. I enjoyed learning more about the history of the area—the fact that Joseph Tyrell only found one dinosaur skull. He was actually a successful businessman and engineer who was looking for coal in the Red Deer River Valley. 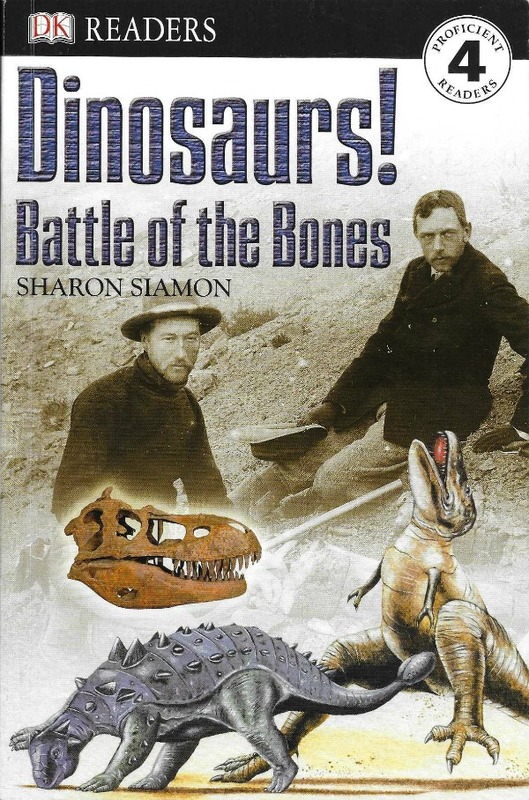 The book talks about other important dinosaur hunters and their discoveries in Alberta. It also discusses how hard it is to dig a dinosaur skeleton out of the ground and transport it safely to a museum—the first few bone hunters destroyed many skeletons they found. Dinosaurs! also shares the story of an Albertosaurus now displayed in the museum. The end of Dinosaurs! is dedicated to information about what Alberta’s badlands might have looked like in the time of the dinosaurs, what sorts of dinosaurs lived there, and what might have happened to them. This book is a Level 4 reader, for “proficient readers,” so Lily needed some help with the bigger words (like “paleontology”). Now the girls are asking if we can visit Drumhellar when we go back to Alberta this summer. This book talks about four animals from around the world who travel long distances every year. The caribou migrate across northern Canada. Monarch butterflies migrate from southern Canada to Mexico. Gray whales migrate from Alaska down the coast of western BC to Mexico. And snow geese migrate from Canada’s arctic to Chesapeake Bay in the U.S. I loved the variety of animals featured in this book—birds are the only species to migrate! We’ve seen gray whales off the coast of Vancouver Island on their migration. We’ve also watched an IMAX movie about monarch butterflies. So this book was a great way to learn more about both. 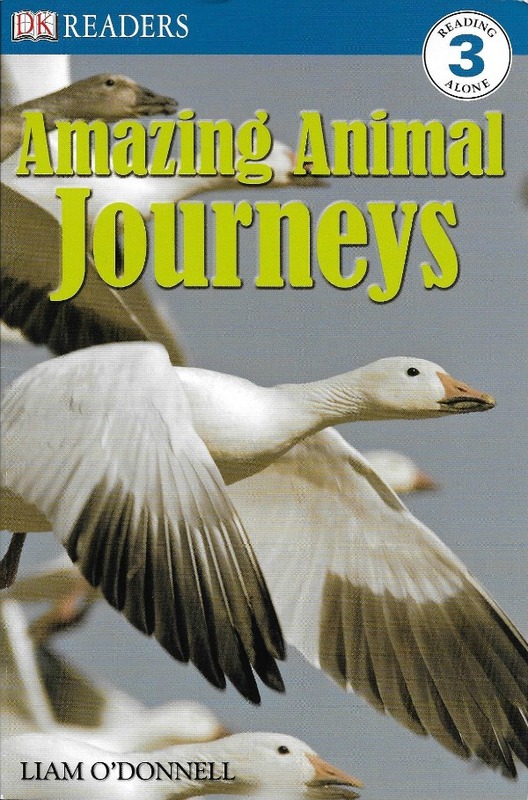 Amazing Animal Journeys also includes a map for each animal, showing the area in which they migrate. It’s a great way to talk about some of the different parts of Canada. The last chapter in the book discusses human impact upon the animals’ migrations, and how we are both hindering and helping these animals do what they’ve done for thousands of years. One of my earliest memories is watching Iron Will, a story about a young man on a strenuous sled dog race. I’ve never had a chance to ride behind a sled team, but I would love to. Snow Dogs! Racers of the North is all about the dogs, the sleds, and the races. The book starts by talking about the traditions of the races, going into the history of the Inuit and Yupik people. 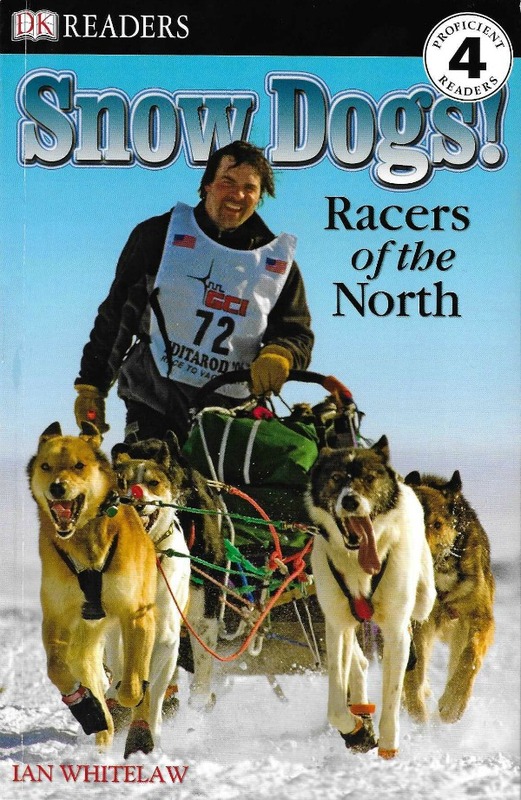 It talks about the different breeds of dogs, the different types of sleds used, and what it takes to train a team of dogs. Snow Dogs! shares stories from real-life racers like Ellie Claus (youngest woman ever to complete it), and Susan Butcher (four-time winner). While I’ve heard of the Iditarod Trail in Alaska, I found it interesting to read about the Yukon Quest and the Hudson Bay Quest in Canada. 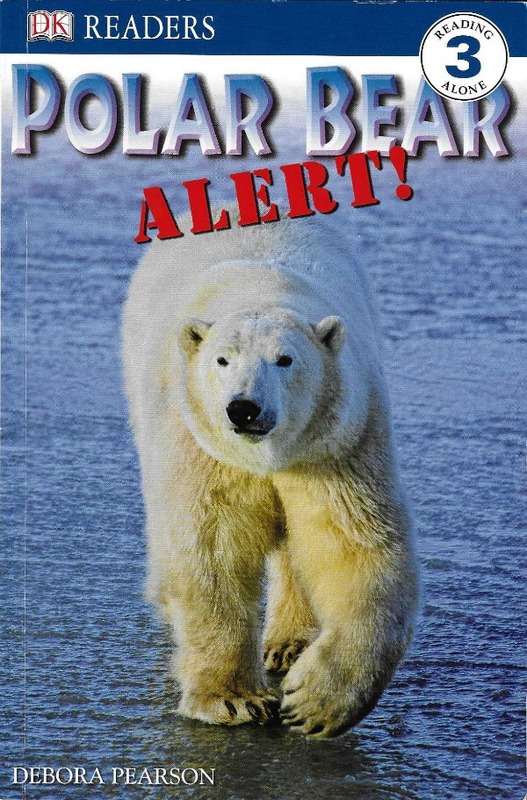 Polar Bear Alert! is set in the town of Churchill, Manitoba, known for its polar bear population. It follows one polar bear on his quest for food. During the summer, bears stay on land and eat only berries and birds egg. In the fall, they wait for the ice to freeze so they can go after their real food: seals. As someone who has hiked frequently in the Rocky Mountains, where black bear encounters are common, I was intrigued by the polar bear control measures in place around Churchill. Wildlife offers maintain a perimeter around the town, chasing bears away as needed. If they won’t stay away, the bears are put in “jail” until they can be released on the ice. Bears in jail aren’t fed so they don’t get used to getting food from humans—a big problem around national parks. The pictures in this book are beautiful. Baby polar bears are adorable and the girls enjoyed the section about mothers and cubs. It was also interesting to find out how bears survive in this tough environment, such as the way they can go for long periods of time without eating. Helen Keller is well-known as the blind and deaf girl who learned to read and speak. 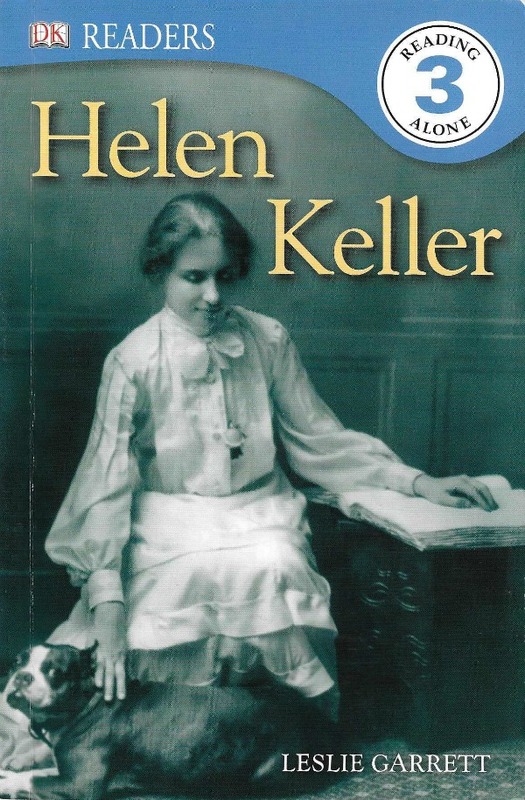 Helen Keller tells her story, from her infant illness, temper-tantrum filled childhood to meeting her teacher Annie Sullivan and going on to graduate with honours from Radcliffe. Helen traveled the world, advocated for the blind and deaf, and wrote numerous books. During her childhood, she met Alexander Graham Bell, inventor of the telephone. Bell was born in Scotland and spent his childhood and retirement in Canada, though his inventions were done in the eastern United Stations. He was also a teacher of deaf people, for his mother had been deaf. This book includes historical photographs of Helen as well as illustrations of various parts of her life. What are your favourite Canadian books for kids? I was obsessed with Helen Kellar when I was a kid. Can’t wait for little mama to be old enough to appreciate it. I love how DK Canada has this awesome collection of Canadian books to choose from!